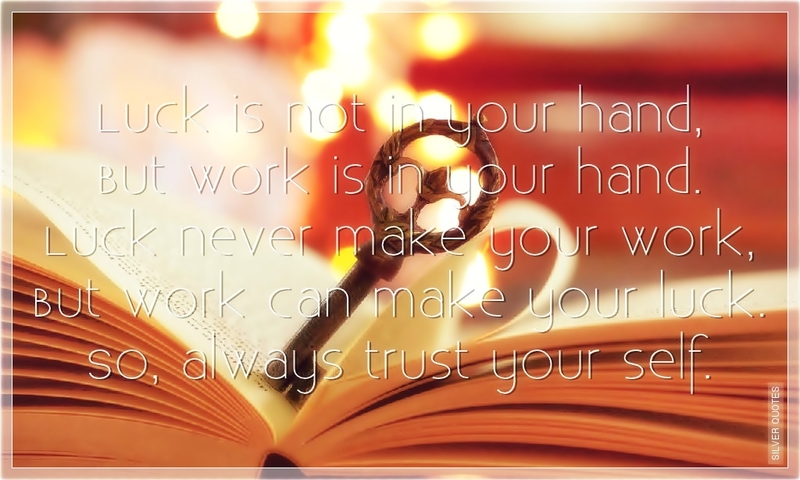 Luck is not in your hand, But work is in your hand. Luck never make your work, But work can make your luck. So, always trust your self.